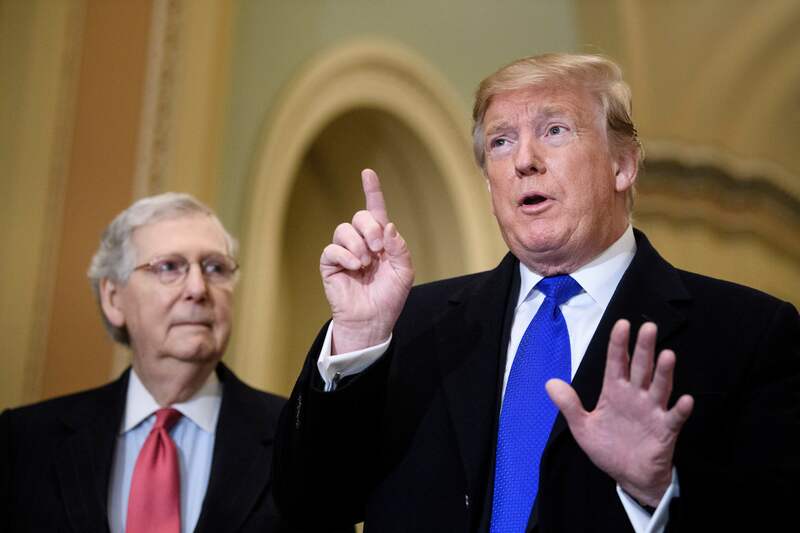 President Donald Trump continued with criticism of the Affordable Care Act (ACA) and touted four Republican senators he said will fix the ACA, colloquially known as Obamacare, in a tweet Monday. “The cost of ObamaCare is far too high for our great citizens. The deductibles, in many cases way over $7000, make it almost worthless or unusable. Good things are going to happen!” Trump wrote on Twitter. He also tagged the Twitter accounts for Republican Sens. Rick Scott of Florida, Majority Leader Mitch McConnell, John Barrasso of Wyoming and Bill Cassidy of Louisiana. The University of Southern California’s Center for Health Journalism (CHJ) confirmed Trump’s figure on Twitter Monday. “For the most commonly purchased ACA marketplace plan, the family deductible for 2018 was more than $8,000… A recent study found that the average U.S. family only has $5,000 in liquid assets,” CHJ tweeted. But Trump’s critics say his attacks on Obamacare deductibles are misleading because they are high across the board, and he leaves out that the ACA covers a multitude of preventative services, reported NBC News. Trump has repeatedly said the Republican Party will become the party of health care since March 25. He is counting on help from four Republican senators, some of whom have worked extensively on the issue, to accomplish this. They include Cassidy, a physician who was a co-author of the 2017 Graham-Cassidy Bill. It would have repealed many of the Affordable Care Act’s provisions and restored power to individual states. Of course, all health care legislation will have to make it through a divided Congress, and the Democrat-controlled House of Representatives had its health care rollout earlier in March. House Speaker Nancy Pelosi touted a plan she said gives more middle-class Americans health coverage under the ACA Tuesday rather than embracing the farther-leaning left stance some in her party are taking by getting behind Medicare for All.